There is nothing better than a mug of frothing hot coffee to recharge your body. 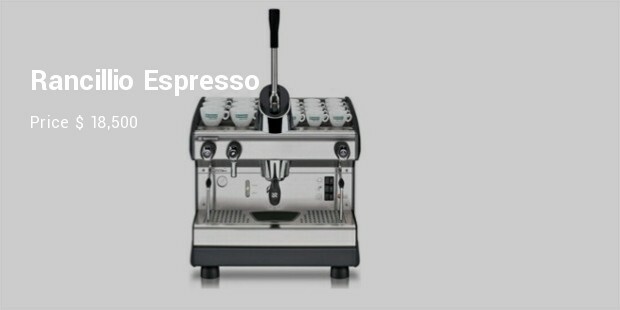 A cup of espresso is a favourite among the coffee lovers. Espresso means a cup of ‘quick coffee’. 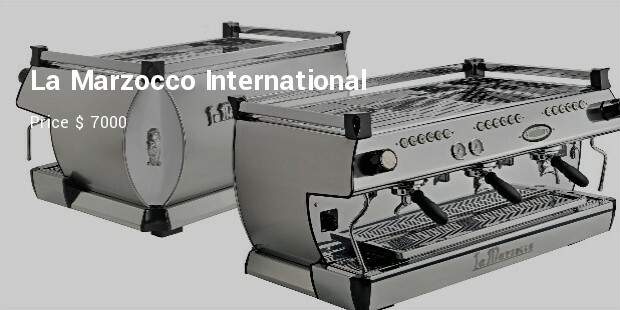 Italy is famous for its incredible cafes and espresso coffee. 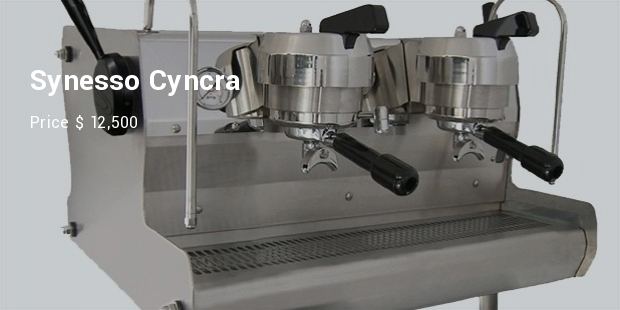 Espresso beans need machines in varying sizes with single to multiple shower heads. 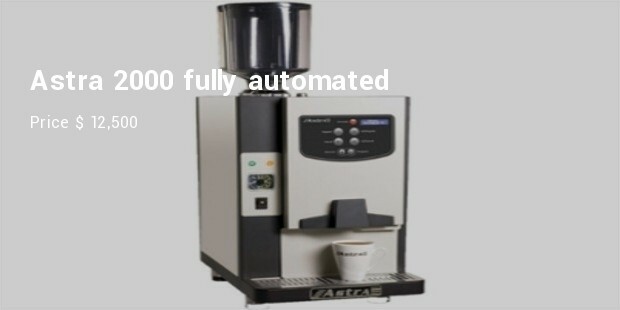 The machines come in fully automatic and manual types that could process the coffee within a time-limit of 30 seconds. 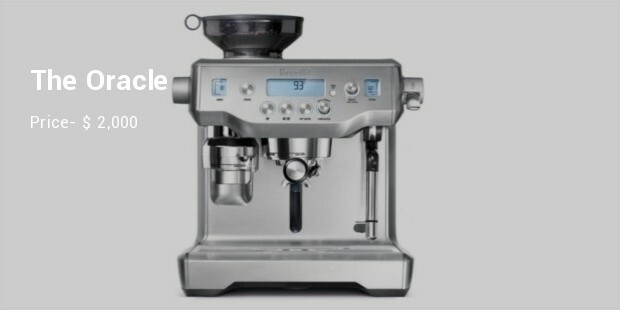 Oracle is the first automated espresso machine made by Breville. Its superior quality of spare-parts makes the gadget very expensive. The processed coffee is silky, strong, and steady in taste, and leaves you yearning for more. 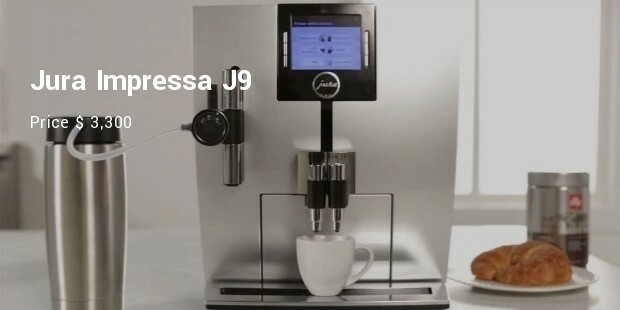 You would undoubtedly find this machine stylish and sleek as its automatic one-touch system for espresso and foam could give you the most tasteful cappuccino or latte. The machine is compact in shape and therefore can be easily accommodated anywhere. The industrial design of the machine is simply brilliant and classy to look at. It’s technically rich features, such as its thermal stability brews the richest coffee one can imagine all through the day. 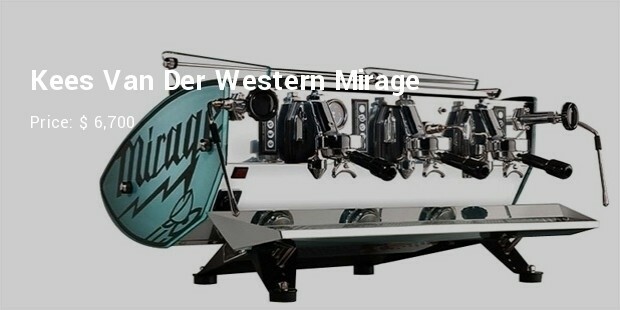 With these excellent models, literally the best ‘espresso’ is just at a step away. There is every kind of flavor and type of coffee to match your moods.